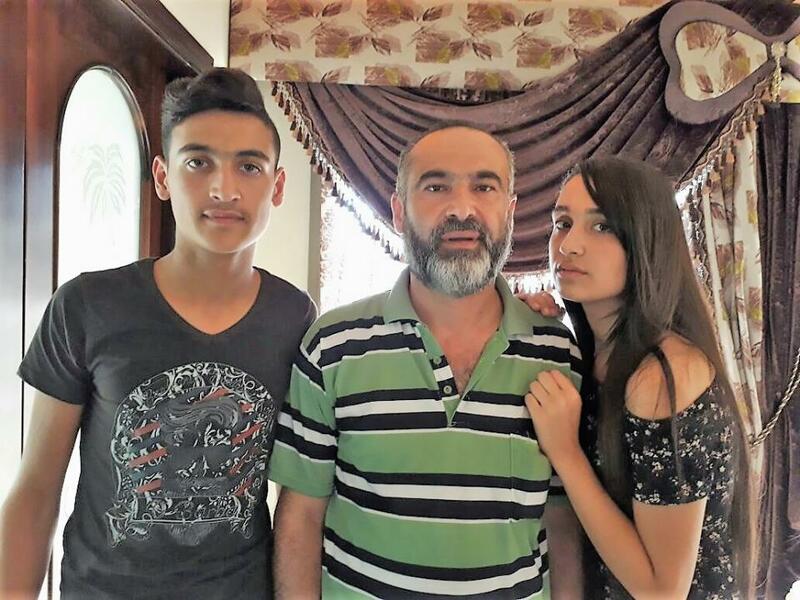 A loan of $2,000 helped to pay for two of his children's (Mariam 17 female, Ghassan 15 male) school tuition fees, featuring with him in the photo. Majed is a 38-year-old, Lebanese married father of four. He dropped out from school at an early age and had to work for a living while still too young. Eight years ago, he managed to become a partner in an electronics sales shop. Majed cherishes education and exerts every effort possible to keep his children in the best possible schools he can afford. He is a third-time borrower from Kiva's field partner, Al Majmoua, and he wishes to use this entrepreneur loan to pay for two of his children's (Mariam 17 female, Ghassan 15 male) school tuition fees, featuring with him in the photo. His previously acquired loan wasinvested in paying for his children's school tuition fees too, and he managed to be a good standing borrower. By contributing to this loan, you will be encouraging Majed in his attempt to provide his children with their right to a proper education. It sends students from low-incomes families to school. This loan is part of Al Majmoua's efforts to finance school expenses such as books, stationery, transportation and fees for students whose families have low incomes. Funds can be used for partial or complete payment of school expenses. By supporting this loan, you're enabling access to education for students with limited options.